Hua Mei was the first Giant Panda born in the US to survive. 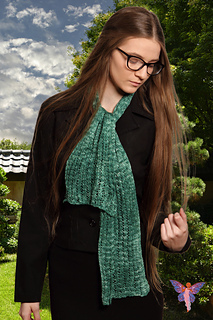 This quick-knit scarf is totally reversible and easily memorized. Perfect for gift giving and showcasing a single skein of hand dyed yarn.